This is a compensated post. All opinions about prom dresses are 100% my own. 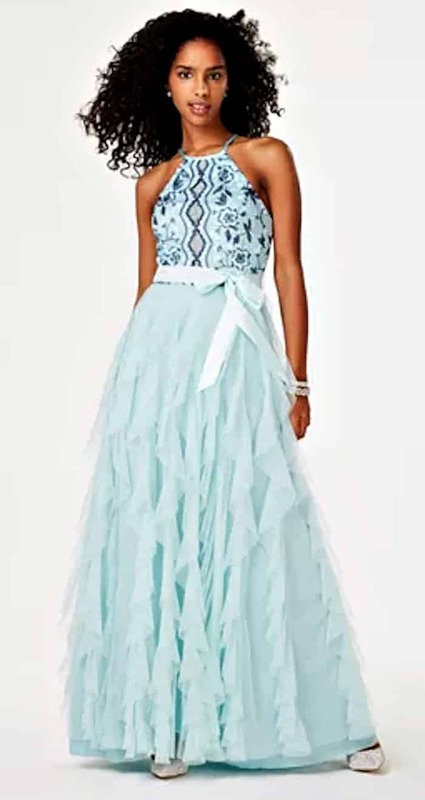 Prom season is here and the time for junior and senior high school girls all across the United States to be shopping for the perfect prom dress. Prom dresses can be so many styles nowadays. There really are no rules. Which is nice. Back in the day when I went to my prom, all of us girls pretty much wore the same style of dress. Now, young ladies have so many different prom looks to choose from and are more able to find prom dresses that fit their own unique personalities. 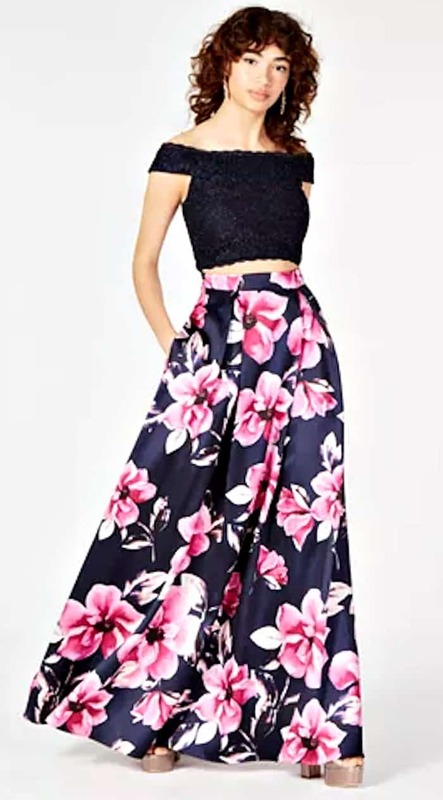 I was looking at some of the prom dresses from Macy’s and I’m so impressed, not only by the diverse selection but by the low prices of the dresses. Nothing says sophistication like a long black prom dress. A long classic black dress is sleek and elegant and can make any young lady feel like Audrey Hepburn. The two-piece prom dress is popular this year… I’ve seen several of them in my Facebook stream lately. It’s a fun and flirty look, leaving just a little skin showing between the top and the bottom of the dress. 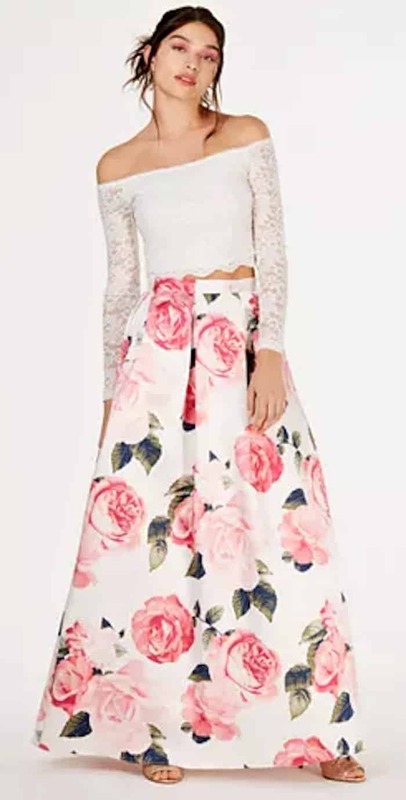 You can get these prom dresses in various materials and colors, but I’m really liking the floral skirts, especially for spring. If you don’t want to go with a classic or basic color like, black or red, and you don’t want to do a pattern, like florals, go with a bright color. You can be colorful and elegant at the same time. Since it’s prom, you may think you should choose a long gown. Or maybe you want to go against the norm and get a shorter length prom dress. Either one is fine, but what if you cannot decide between the two? Maybe you want a long prom dress but like your legs? The high-low prom dress is the perfect choice for you. Macy’s is having a great sale throughout the month of April, so whether you’re looking for prom dresses, accessories, or more, be sure to check out their great sale.